In celebration of a decade of sharing super-high-quality beta for Cochise Stronghold, I am proud and excited to announce the release Toofast Topos 2: Cochise Stronghold Rock Climbing! Toofast Topos 2 is a massive expansion on our first book, and details 470 pitches of climbing on 25 formations in the Stronghold. The guide covers the east, west, and southwest regions of the Stronghold, including 113 multipitch routes, a selection of single-pitch crags, the original classics, familiar moderates, killer testpieces, and amazing, never-before-reported lines. 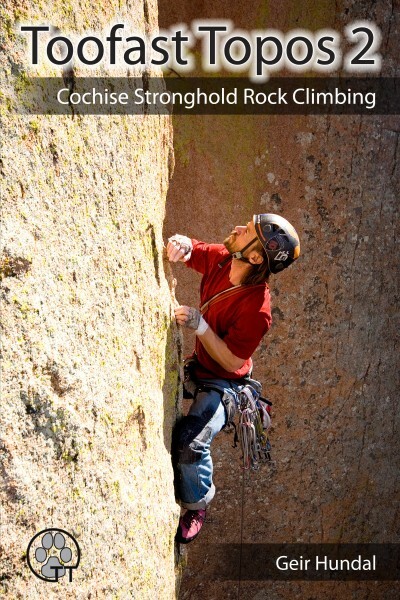 Honoring the history, traditions, and inherent ethic of Cochise Stronghold rock climbing, 100% of the beta is firsthand and presented with the utmost detail and precision. Check out or order the new 430-page book in digital format ($18) or paperback format ($38) at www.ToofastTopos.com. A discount is offered for those who want both versions. Thanks Jon - I will be updating all of the free topos to the format used in the new book. Headed there in a couple weeks. Never been. Ordered the Tanya Bok book a month ago and haven’t received it and haven’t gotten any answer back on the delivery ETA. Will probably dispute that CC charge and order yours, as long as it actually comes? Looks like a rad zone, stoked to check it out. F...I have enjoyed both Gier’s topos and Tanya’s guide. I suggest you start with Sheepshead/Muttonhead on the west side...saw my first mountain lion there. You can purchase Toofast Topos in PDF for an immediate download if you want. No need to wait for delivery. Hey Tanya, the ST messaging system doesn't work, so you need to post an email address for contact. Looking at your website, it looks like F can email you at cochiseclimbing (at) gmail.com. That is the right website http://www.cochiseclimbing.com and the email is cochiseclimbing@gmail.com. It looks like F is from AK. If so, the last guidebooks I sent to AK was ordered on the 21st and received on Oct 1st. I have the Complete Sets on sale so there was a big order I put out. If anyone knows who F is please let me know. The place is just exquisite right now! Just checked at the P.O. Nothing yet. Sometimes they have difficulty delivering to igloos around here. I’ll give it a few more days. Thanks for shipping, I was starting to wonder. 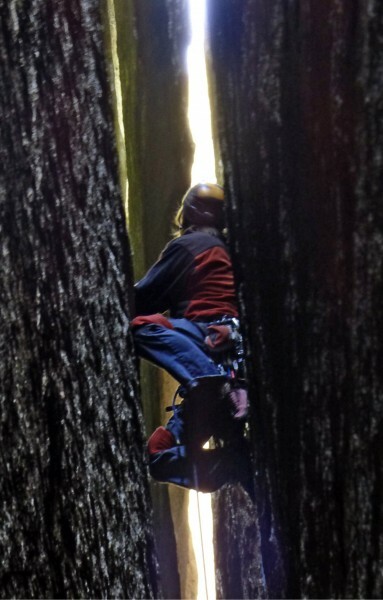 Haven't seen the guidebook but is there "cragging" there? We are thinking of visiting but have children so a 7 pitch route won't work. For cragging check out the Isle of You on the west side. Have some patience, Tanya's book is probs gold (haven't seen it),but straight from the horses mouth so to say. Her and Scott are good peeps and worth supporting. I do have the old Bob Kerry guide you could borrow if you are in a pinch, but frankly, a guy like you doesn't need no stinking guidebook. Just look up! I spent many winters there if you need some word of mouth info...... all I ever used. Just fyi, Toofast Topos is written 100% based on firsthand experience. 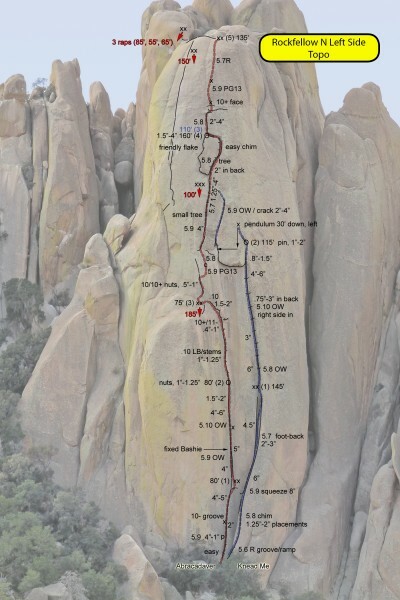 I led every climb in the book, ground-up, documenting each route meticulously as I went along. 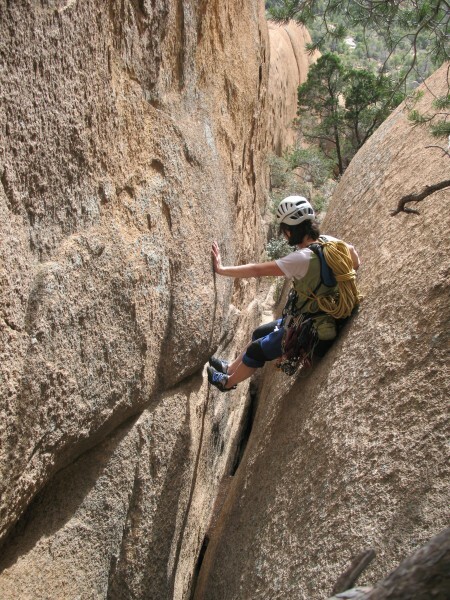 Actually, in almost all cases, I have climbed each route in my book multiple times. That is how I arrived at the level of detail and accuracy that I have achieved in Toofast Topos. So far as I know, only a handful of other authors have undergone that kind of effort in producing their guides - I think some of the SuperTopo guides were written this way. You can order (or instantly download) the book at www.ToofastTopos.com. I can be contacted by email at climb at geir dot com. I know you are local and have climbed a lot out there. I also am familiar with all the bad blood in se az. Coming off kinda sleazy with your advertising. And I disagree with you that all climbers can benefit from a guidebook. I personally know F, and don't think he needs either. Nope. Not interested in sleeze or bad blood or any of that crap. For the record, I have been climbing routes and establishing FAs ground-up for about a decade. It is more challenging and fun for me. And some climbers I really admire inspired me to do it. Doing an entire guidebook this way was the next big step. That does not mean that I expect that from everyone, but I submit to you that climbing at your best is very rewarding. 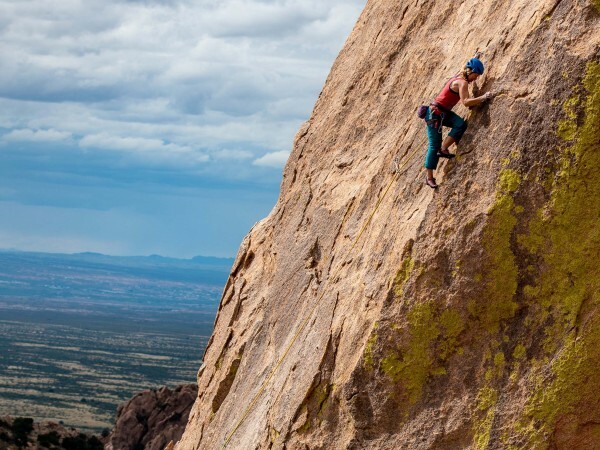 Toofast Topos is all about producing the highest quality, firsthand beta to equip climbers to climb at their best. More importantly, it is about keeping the Stronghold (or other climbing areas) pristine - something that climbers have struggled a bit with lately. For those of you who have purchased already, thanks, and check out the Foreword, Intro, and History. They present my thinking a lot more fully.